I have lived through many life stages in Manhattan and have experienced the glories of this city in all its forms. I moved here more than 20 years ago when I was in my 20’s and single and spent a fair amount of time in bars, at dance clubs and on the volleyball court. When I got married, my husband and I practically made a job out of eating our way through ALL of the Manhattan restaurants. A few years later, with small children, my goals shifted a bit and we spent many long days playground hopping our way around town. Now, my children are teens, and we are experiencing yet another side of the many facets of this 13-mile long island. I guess what I’m trying to say is we know our way around a bit here! With all of these experience in mind, I have attempted to put together a few comprehensive itineraries for both the tourist in our great city and for the resident on a staycation. This guide is intended for the person who has already strolled down 42nd Street and been to the top of the Empire State Building. Even as resident New Yorkers, one of the benefits of living here is all of the access to culture and fun activities. This guide is good for the person who lives here and is having guests for a few days, for the person coming to NY for the 3rd or 4th time that hasn’t really quite gotten all the sights under their belt, or for the NY resident who just woke up on a Saturday morning and wanted a little change in their life. As in our A Beginners Guide to Visiting New York City, our recommendations are meant to be enjoyed in sections, as they geographically make sense. Each day is meant to cover an area of Manhattan that you may not yet have fully explored. Restaurant recommendations are intended to be “middle of the road” places that are popular with the locals. Want more NYC? Also see our guides to the different neighborhoods of Brooklyn. If you live in NYC or are an experienced visitor, we love a Scavenger Hunt as a way of digging a little deeper into the Big Apple. I love Watson Adventures or Pogo Events for a lovely afternoon of adventure. Watson Adventures offers neighborhood hunts, museum hunts and the very popular Murder at the Met hunt. Most of their hunts are on Saturdays and should be booked at least a few days in advance. Pogo Events offers some fun themes like the Game of Thrones Scavenger Hunt, the Dog Friendly Scavenger Hunt, and an Amazing 90’s Scavenger Hunt. Their hunts fall on different days of the week, as they are frequently affiliated with a theme or a holiday, and sometimes they offer prizes. Combine the 3-4 hour hunt with a meal in the neighborhood and you will have filled the better part of a day with fun facts and good food. Start your day with a little help from NYC’s under utilized Water Taxi service. You can take the water taxi to see the iconic NYC skyline from the Hudson River, peek at the Statue of Liberty, and end up in a super cool part of Brooklyn – DUMBO. Fares run about $19 and leave from several NYC spots (see map of route on left). If you are staying in or near midtown, you can leave from Hell’s Kitchen. If you are staying downtown (which we recommend – see A Beginners Guide to Visiting New York City for suggestions), leave from either Battery Park on the West side of the island or South St. Seaport on the East side of the island. Once you hop off in Brooklyn, see my DUMBO highlights tour here for food and shopping recommendations. You can spend the better part of a day in Dumbo or in the nearby Brooklyn Bridge Park. Whatever you do, make sure you have your camera ready! Sitting between the Brooklyn and Manhattan bridges, with spectacular views of downtown NYC, this neighborhood has the best photo ops in all of New York. After braving the crowds in DUMBO (try not to go on a weekend where the crowds will be at their worst), you can hoof it back to the island on foot and over the Brooklyn Bridge for some more fantastic views. If you time your Brooklyn Bridge crossing with the sunset, even better. Eat at: The pedestrian path will dump you right near City Hall. Here you can head to Da Claudio at 21 Ann Street in the financial district for a wonderful Italian meal courtesy of the Marini family. Or take the short walk across the narrowest part of the island to Tribeca for a meal at one of the many great restaurants there, including Tiny’s at 135 West Broadway for excellent everything, Max Restaurant at 181 Duane Street for good home cooked Italian, or Gunbae Tribeca at 67 Murray St. for Korean BBQ and a little Karaoke. At 110th Street in Morningside Heights, hop off at the Cathedral of St. John the Divine the cathedral of the Episcopal diocese of NY. If you happen to be there for the First Sunday in October, don’t miss the Blessing of the Animals where all creatures great and small arrive to be blessed. Prior years have included alpacas, cows, geese, and even a camel! However, if you are not lucky enough to be there on that first Sunday in October, definitely explore the Ten Secrets of St. John the Divine here and you won’t be disappointed with your visit. After getting back on the bus, continue up to 125th street at the Apollo Theater. Wednesday nights at 7:30 is Amateur Night at the Apollo and a great way to spend an evening, especially with teens. Just two blocks away, you can have a meal in one of the Harlem greats, Red Rooster, Sylvia’s Place, or Harlem Shake all within a 3 block radius. Take the bus back downtown along Museum Mile and consider stopping in one of the many great museums along the way, including the Museum of the City of New York, The Jewish Museum, The Guggenheim, or the Frick. Museums are generally open until 9pm on the first Friday of the month and close around 6pm on other days. Check hours for each museum individually. 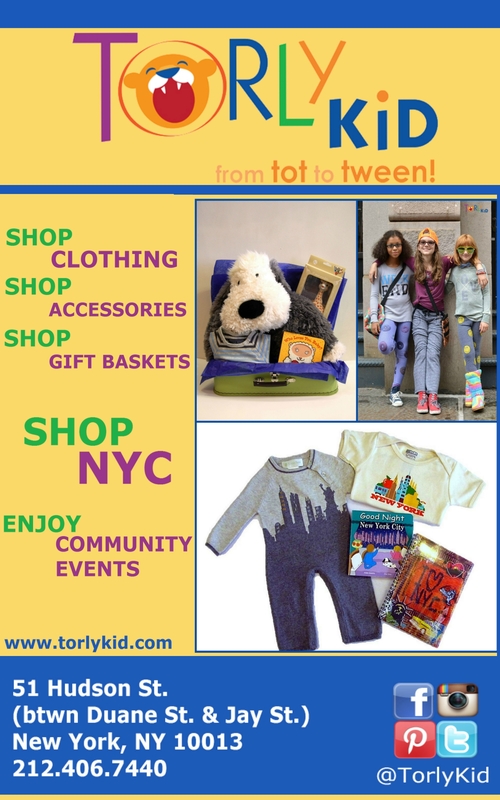 If you need to do some fun gift shopping before heading home, hop off the bus around 80th street and head over to Madison Ave to have a look around at our favorite shop E.A.T. Gifts. You are sure to find something fun and quirky for every age! During the rise of industrial America, more than 70% of all immigrants in the US came through New York City. Start your day on the Lower East Side with a tour through the Tenement Museum to learn more about that. They also offer tickets for a good neighborhood walking tour if you don’t want to go it alone. If you do prefer exploring without a tour group, hit the following highlights to get a good sense of this part of town. Trade culture and knowledge for some good old fashioned fun. Just two blocks away are two great spots you shouldn’t miss – Economy Candy on Rivington and Two Bits Arcade on Essex. Around the block, on Allen St., check out the Bluestockings Bookstore and Activist Center for a great education on feminism, activism, and LGBTQ rights. Getting hungry? Hit one of my favorite spots – The Meatball Shop (for meatballs, duh), Russ & Daughters (for bagels and schmear), Katz’s Deli (for pastrami sandwiches as big as your head), and Vanessa’s Dumpling House (for, you guessed it, dumplings). If you are still craving some art, pop into the never crowded New Museum on the Bowery – Manhattan’s only dedicated contemporary art museum. In the afternoon, enjoy a little relaxation in one of NYC’s little known great parks. Hop on the nearby F train at 2nd Ave and switch to the Q train at 34th St. Take the Q train to 86th street and wander over the the east river to laze around in Carl Shurz Park at 86th and East End Ave. A stroll along the river allows for views of the Roosevelt Island lighthouse (did you know there was one? ), the Robert F. Kennedy bridge (formerly the Triboro Bridge), Randall’s Island, and the official residence of the mayor – Gracie Mansion. Consider a Broadway show to top off your day. Purchase last minute tickets for many great shows on Todaytix.com (better yet, download the app on your phone). Take the A train to 190th Street in Washington Heights for a morning in Fort Tryon Park and the Cloisters. Landscaped to look like a grand country estate, Fort Tryon park has 67 acres of gorgeous gardens, rolling hills and stone archways. Walk 10 minutes along Margaret Corbin Drive in the park to The Cloisters a Manhattan must-see. A castle built from the stones of French cloisters, this gorgeous building hosts the Met’s collection of European architecture, sculpture and decorative arts. Don’t miss the unicorn tapestries. On your way out of the park, rest your legs at the New Leaf Cafe for a snack and beautiful terraced views of the park. After a nice rest, gear your legs up for a 35 min walk down to Fort Washington Park to pay homage to NYC’s best kept secret The Little Red Lighthouse. If you have kids with you, grab a copy of the The Little Red Lighthouse and the Great Grey Bridge, which was a family favorite in our house for many years. To get there, walk south from 190th street to 181st and then west to the Henry Hudson Parkway. Cross over the parkway and follow the path to the Hudson River Greenway. A 10 minute walk on the winding downhill path and you will realize why this place is such a secret. This Hudson River Greenway runs along the river all the way down to Battery Park. Depending on how much time is left in your day, you could spend hours here. Note a few complications: access points to and from the park are only at 181, 168, 155, 145 and 125 streets. So if you start walking south, make sure you are committed. Also, food options are limited. There are a few kiosks around but not really until you get further south. There is a restroom a little south of the lighthouse near the tennis courts. Print the full 5 Days in NYC PRO Itinerary to take along with you on your next adventure!